Superfood: Is it a Figment of our Imagination? In the fast-paced, stressful environment that we live in today, how do we choose the right food that we need? Is there really a so-called superfood that can sufficiently provide our bodies with enough energy and nutrients? Nutritionists always remind us to love our body and take good care of it by practicing conscious eating. While being conscious of one’s health and choosing the right food to eat is the accepted norm, for some being conscious is eating less to maintain a certain figure or look. Not to mention the Filipinos massive consumption of ready to eat food or fast food that in reality brings in little or even zero nutrition to our hungry bodies. Studies have shown us that the Philippines is still ranked among the unhealthiest countries in Asia, a country where 44 percent of Filipino adults are overweight because of their lack of exercise and unhealthy food habits. With the kind of environment and lifestyle that Pinoys have today, choosing the right food is as vital as deciding on what is really good for your health. But as the present technology on food production continues, how can we be sure that we are eating the right food? Is there really a superfood out there that can immediately satisfy our body’s nutritional requirement? Because everyone today seems busy living their lives and going here and there, what is really wrong with the eating habits of the Filipinos? So the majority of Filipinos today choose processed foods because it is fast to prepare, a boon for those who are always on the go in this fast-paced world. But do they get the essential nutrients in these processed foods that they consume in massive quantities? “Actually it is a good source of macronutrients which are carbohydrates, proteins and fats. But if you will focus on the micronutrients since most of the people in the Philippines today are micronutrient deficient, we can easily get this from our locally grown fruits and vegetables which we really don’t see being served in the fast food chains,” Santiago explained. A lot of people today keep on hearing the words superfood and it is being labelled on most products being sold in groceries and supermarkets nationwide. What really is this superfood? Superfood is a marketing term for food items with supposed health benefits as a result of its nutritional analysis or its overall nutrient density. “Actually there are no set criteria to determine the nutritional benefits that you can get from these foods being sold and labelled as superfoods. The popular superfoods being sold in the market are claiming that it can prevent or it can treat diseases. But we should take a very good look at the high quality clinical studies before we can be convinced of the nutritional benefits of such superfoods,” said Santiago. What are some examples of real superfoods that you can easily buy at your local grocery, supermarket, palengke or talipapa, nutritious food that you can even get in your own back yard for free? Growing in back yards and vacant lots around the country is malunggay (Moringa Oleifera) which has seven times more vitamin C than oranges, four times more calcium and two times more protein than milk, four times more vitamin A than carrots and three times more potassium than bananas. 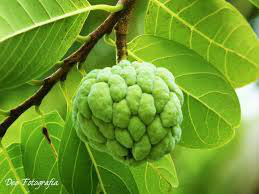 “Here in the Philippines we have the atis or sugar-apple (Annona Squamosa) which can lower the blood pressure because of its potassium. It can also maintain thyroid function because of its copper, it has niacin which can lower blood cholesterol and it also has vitamin B6 or paradoxin which can maintain and improve heart health,” said Santiago. What is the best diet for people who are always on the go and have no time to be fussy on what to bring as baon to work or school? “Well they can have hard-boiled eggs which is very easy to prepare. We also have instant oatmeal and milk that comes in tetra packs or powdered milk. If you are talking about calcium you can also get it from green, leafy vegetables which are very good. You can prepare it as a salad which is easy to bring as packed meal,” said Santiago. Let us now go from the Pinoy superfood to the Filipino super tree. The Philippines today is the third largest producer of coconuts in the world. Aside from the many uses of the coconut tree it also has health benefits which are recognized worldwide. That is why the coconut is widely regarded by many as a superfood. “The Philippines is the third biggest producer of coconut worldwide with 3.5 million hectares or 25 percent of the country’s total agricultural lands producing 16 billion nuts a year. The top two countries are India and Indonesia. In terms of export, the Philippines is the number one exporter in the world. We are now the top exporter of coconut oil in the world with an average of 1 million metric tons exported yearly,” said Marco Reyes, vice-chairman of United Coconut Association of the Philippines. Although export revenues total around 2 billion dollars, the coconut is the only agricultural crop in the Philippines with that amount of export revenues. But of the 3.5 million coconut farmers working in coconut plantations around the Philippines, 60 percent of them still live below the poverty line. It is a fact that most coconut farmers earn below P20,000 per year. “So if we stay in that copra centric model it will not be a viable livelihood for them. The coconut is perfectly sustainable but the coconut farmer, the way they earn so few, is not sustainable. But we are very happy that the global trends which have been happening has opened up big opportunities for our Filipino coconut producers to export,” said Reyes. How about the health benefits that we can get from the coconut? “Coconut oil is the most saturated fat. It is 91 percent saturated fat while lard is 43 percent and tallow is 23 percent. So basically the virgin coconut oil is broken down easily by the body. It is absorbed directly by the portal vein, goes to the liver and is immediately converted by the body as a source of energy,” Reyes explained. “In fact it is a good thing that copra is processed into edible oil because copra is a dirty product. You cannot eat it and it is not edible. 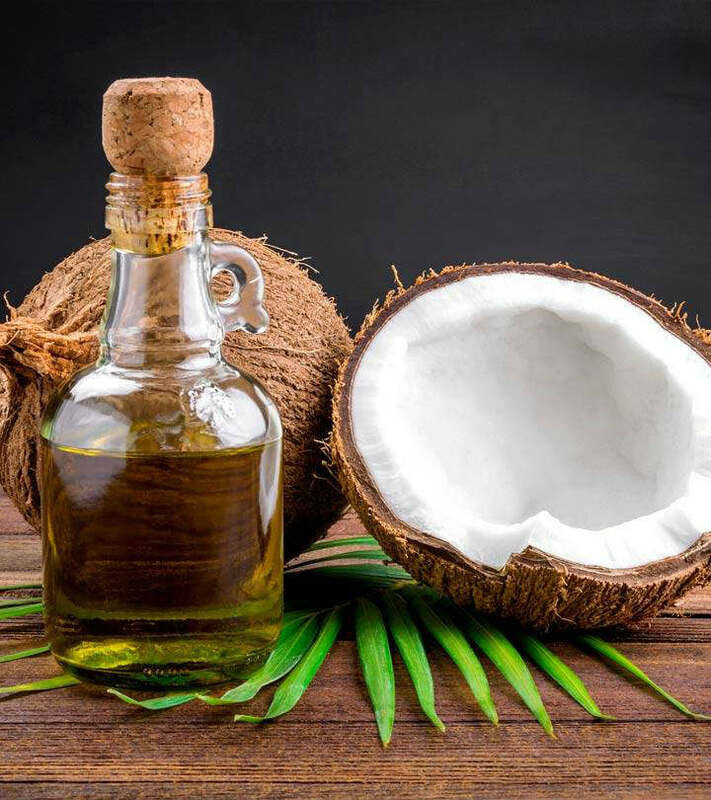 But in the process of making it into virgin coconut oil—pressing the oil out of the copra as a crude coconut oil and becoming refined, enriched and deodorized—then it becomes edible. Virgin coconut oil is the pure form of the coconut oil without anything added. You just extract the oil from the dried coconut meat and bring down the moisture,” said Reyes. From the potential nutrients to the potential nutritional value that the coconut tree can give to the actual consumer who buys a bottle of virgin coconut oil, only impurities have been removed in the process of making virgin coconut oil. What are the benefits of taking virgin coconut oil? “For coconut oil, because it is rich in MCT which is a saturated fat, in terms of metabolism it is immediately converted into a product called akitones which is an alternative source of fuel for our brain. When people get older they cannot process glucose very well. Akitones is an immediate source or alternative source of energy for the brain. Coconut oil is classified as a superfood with its unique combination of fatty acids that helps in better brain function, fat loss and prevents various infections,” said Reyes.